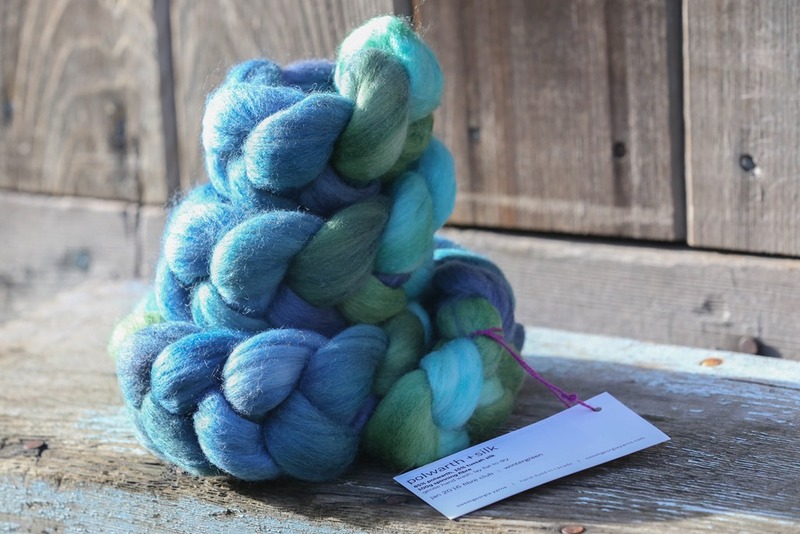 In all truth, one of my favourite blends available in commercial top is Polwarth + Silk. 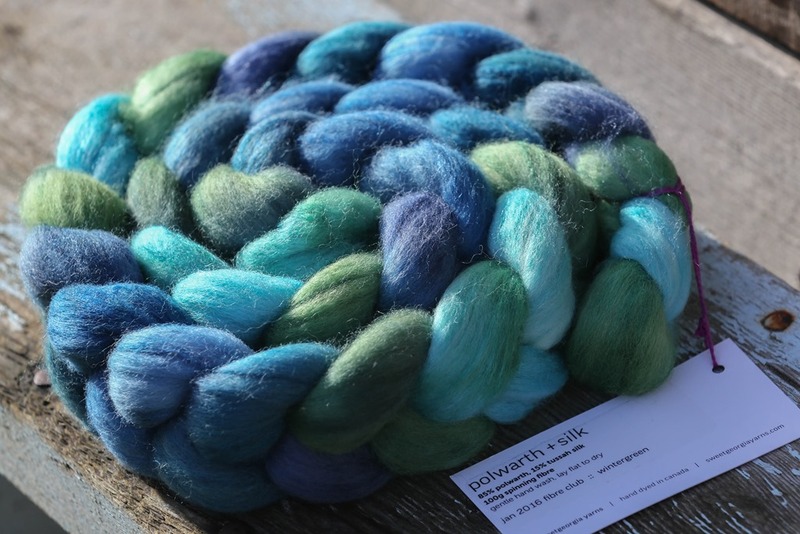 There’s something about the slightly longer stapled Polwarth and the combination with the silk … it’s something. I’m having trouble putting words to exactly what that thing is but it’s there. It’s something. 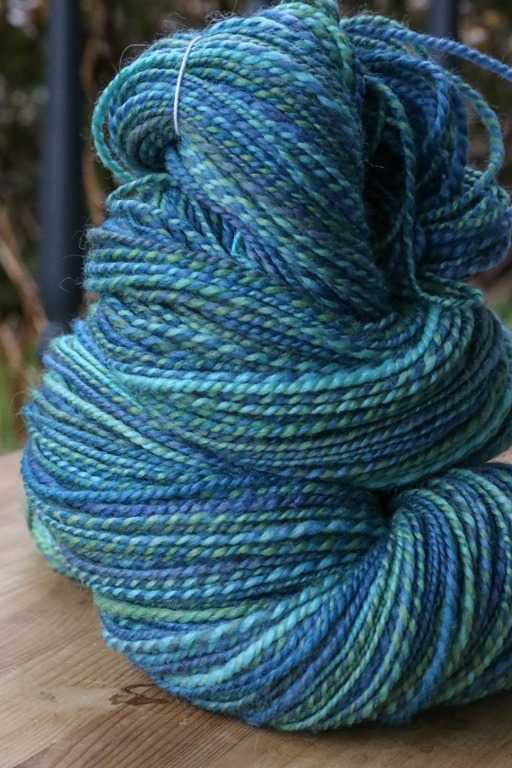 January’s Fibre Club from Sweet Georgia Yarns’ happened to be Polwarth + Silk. Felicia wrote about her journey recently in missing the mountains and snowboarding and the colours up there. I related very closely. I was an avid snowboarder until I was about 25, at which time some life events happened that meant my snowboard ‘career’ came to an abrupt halt. Injuries, loss of a close friend in an avalanche accident and starting a new chapter with a spouse who doesn’t like cold* all meant I was moving further and further away from my beloved mountains. *He doesn’t exactly not like the cold, he just doesn’t particularly like to be cold. 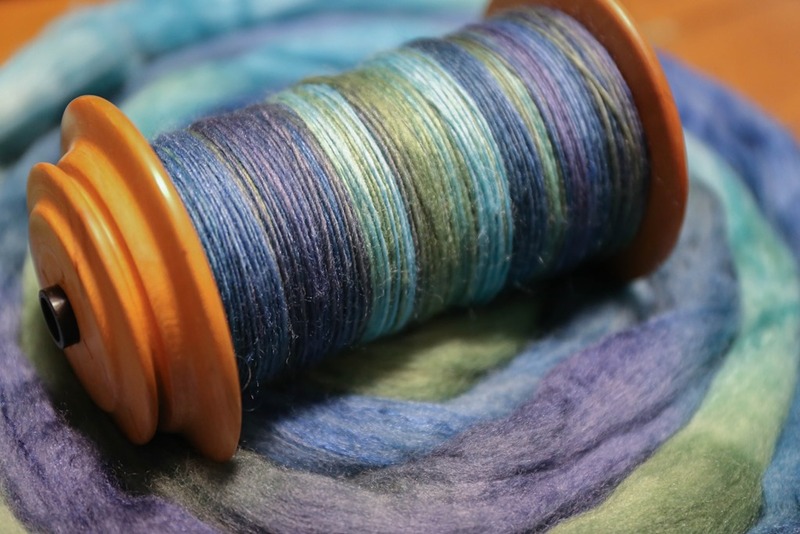 This month was spun on my Schacht Matchless, Scotch Tension, 17.5:1 and plied at 22:1. 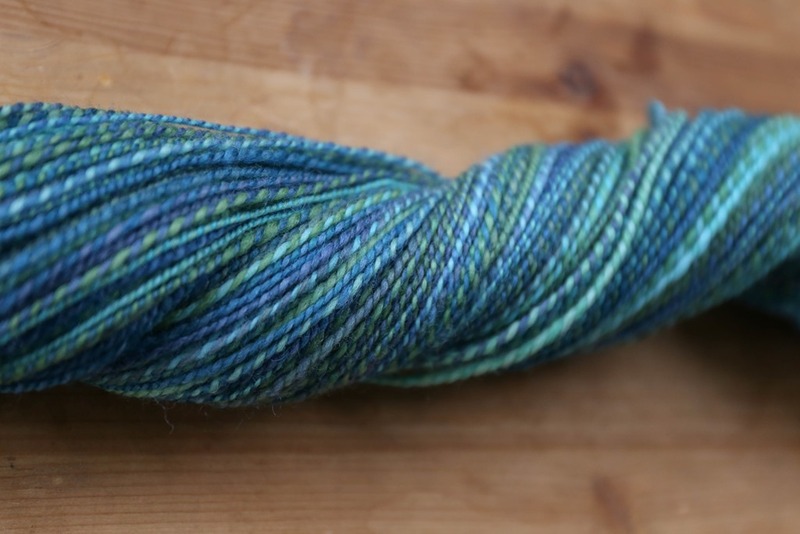 A lovely analogous traditional 2-ply, this may end up being a toque or fingerless mitts. 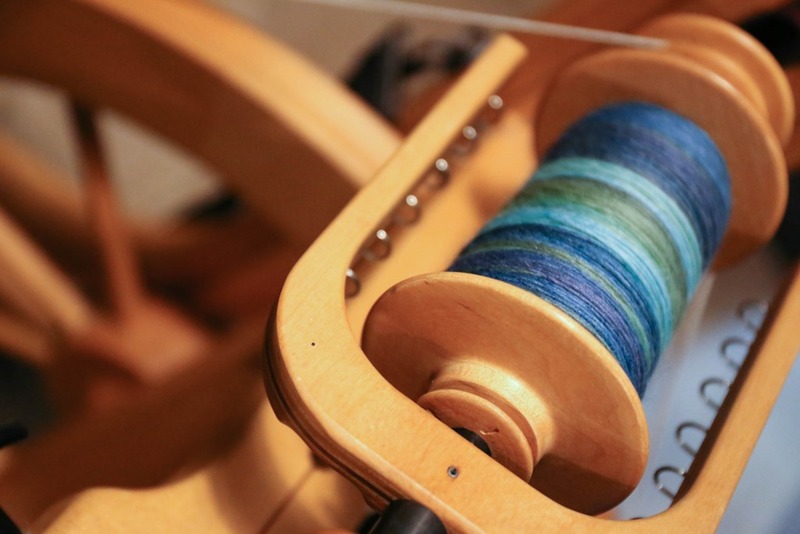 There is an interesting transition that happens in our lives from these activities we live and breath as young adults or even teenagers to being adults who once did those things. I don’t for one moment miss the time I’ve not spent on my board these past 7 years – I now will need new equipment when we get James up onto skis later this month. I miss the mountains, quiet and scenery for sure! But I haven’t mourned the loss of these things. I’ve looked forward to loading up onto chair lifts and gondolas with my kids when they are old enough and sharing those moments with them in the future. We are getting closer and I am excited. There’s something so wonderful about getting to share these experiences with our children once they are old enough. I’m not exactly sure what it is but … it’s something. In the end, there was something about this month’s club that got my heart excited about heading to the mountains with James to share something with him that only I can (since my husband doesn’t snowboard/ski) – I hope he eventually enjoys it as much as I did when I was younger. We had many laughs on those mountains and I hope he does too.